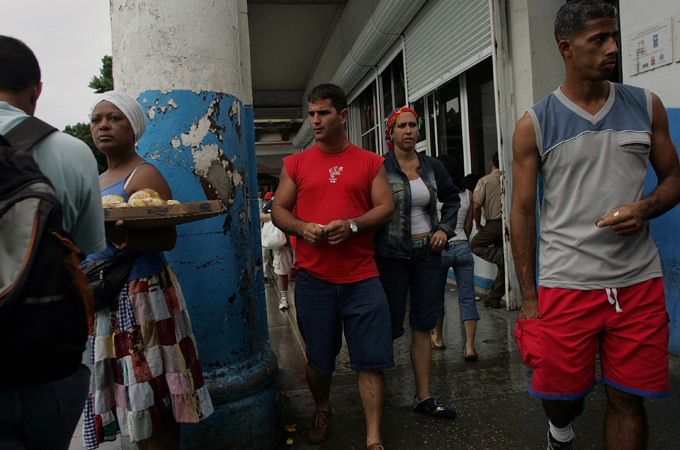 IS CUBA IMPLEMENTING MIGRATORY REFORM IN A FEW MONTHS? 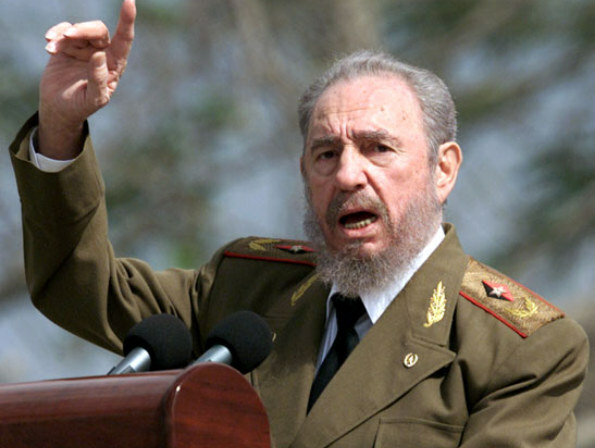 Former Cuban President Fidel Castro accused Barack Obama of looking down on Latin America. 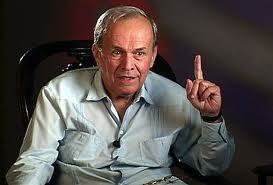 “One of the issues currently under discussion at the highest level of the Cuban State is the issue of migration. We will carry out a radical and deep immigration reform in the coming months, in order to eliminate this type of restriction,” said Alarcon, president of the National Assembly of the People’s Power. Alarcon said the migratory control in the last five decades was one of the resources used by the revolution that began in 1959 to defend itself from “the long terrorist campaign,” for which some Cuban immigrants were responsible. “Now things have changed a lot,” Alarcon said, adding that “nearly half a million Cubans living abroad visit us each year. The vast majority of Cuban emigrants have normal relations with their country of origin.” “Currently it is an economic emigration, whose fundamental interest is to keep peaceful links with its country of origin, they have family and friends on the island, and they wish above all stability,” he said. “This new reality leads us to a ‘substantial’ reform of our migratory policy. Some rules must be changed and others eliminated,” Alarcon said. Alarcon also recalled that the migration issue has been always a “weapon used by the U.S. government to destabilize the revolution.” Cubans are the only foreign immigrants who may automatically gain residence after a year in U.S. territory according to the Cuban Adjustment Act, established in 1966 to encourage illegal Cuban immigration by crossing the Florida Strait in unsteady boats, he said. 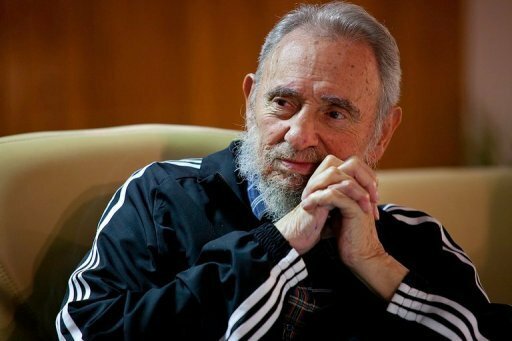 Castro’s government has removed several restrictions observed in the country for half a century, but Cubans still can travel into and out of the country freely. To travel abroad, a Cuban citizen must suffer a winding net of limitations and expensive permits that cost nearly 1,000 dollars. If successful, the travel permission is granted for 30 days and may be extended ten times. People must return within the time limit, otherwise they will lose the right to reside on the island. President Barack Obama leaves today for a trip to a summit in Latin America that may have as much resonance in domestic politics as in hemispheric economics. Discussions at the meeting of North and South American leaders in the resort city of Cartagena, Colombia, will cover trade, economic growth and the battle against drug trafficking. Yet the White House is mindful that about 16 percent of U.S. residents trace their roots to the region, and that group may play an outsized role in the November presidential election. Obama’s campaign is gearing up for a close election fight against Republican Mitt Romney, putting a premium on gaining an edge with any voting group. Obama is actively courting Hispanics — who gave him 67 percent of their votes in 2008 — with a Spanish-language website and by recruiting Spanish-speaking volunteers and using Spanish-language voter registration forms and phone banks. One of those states is Florida, with 29 of the 270 electoral votes needed to win the presidency and where Hispanics make up 22.5 percent of the population. 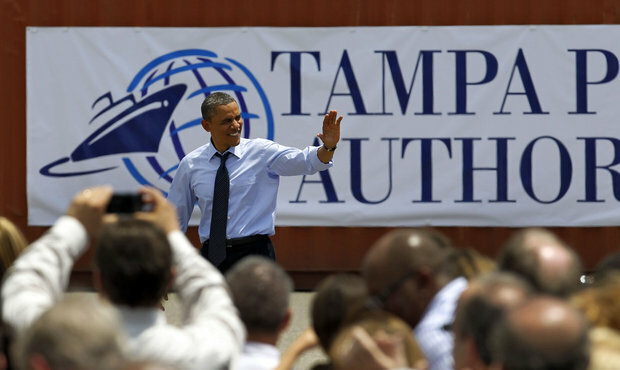 Before Obama meets with the other 32 leaders at the Summit of the Americas he’s scheduled to stop at the Port of Tampa.The theme for that visit, as at the summit, will be expanding U.S. exports and gaining greater access to Latin markets for small businesses. About 40 percent of all exports from Tampa go to Latin America, and the port means 100,000 jobs and generates almost $8 billion in annual economic impact, according to its website. Total U.S. exports in the Americas amount to $700 billion a year out of $1.5 trillion worldwide, according to Commerce Department figures. Among the summit participants, Canada is the biggest U.S. trading partner, Mexico is the third largest and Brazil ranks ninth. 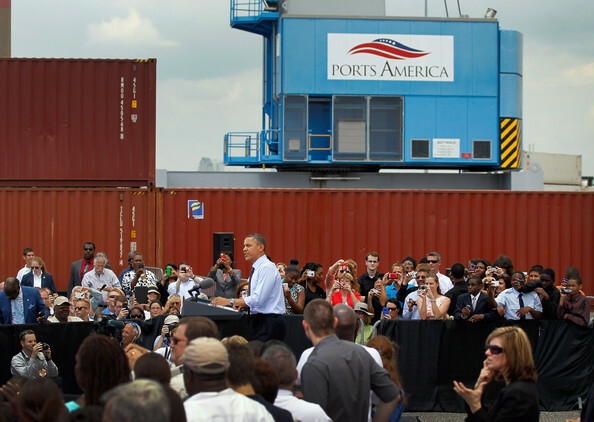 U.S. President Barack Obama speaks during a visit to the Port of Tampa on April 13, 2012 in Tampa, Florida. The President, on his way to the Summit of the Americas in Colombia, used the visit to emphasis small business trade with countries in Latin America. Latin America managed to largely escape the financial crisis of 2008-2009. Brazil (BZGDYOY%) is the world’s sixth largest economy, and the ranks of the middle class have swelled. The World Bank classifies most countries in the region as middle- income or higher. As countries in the region have grown more prosperous, they are less reliant on the U.S., the world’s biggest economy. That growth also comes as the Obama administration has made a deliberate pivot to focus more on Asia. 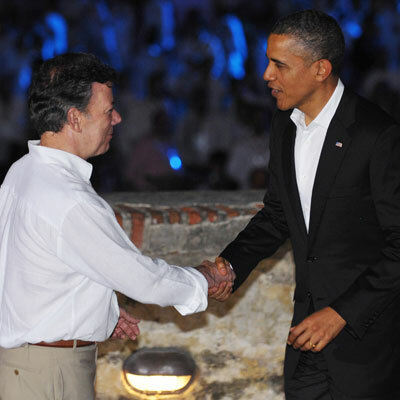 The summit host, Colombian President Juan Manuel Santos, has an agenda focusing on boosting advances in technology, finalizing the free-trade deal between the U.S. and Colombia, lessening income inequality and improving responses to natural disasters, such as earthquakes. 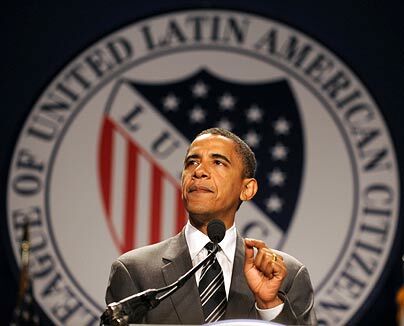 Obama remains popular in Central and South America, though promises to rebuild cooperation at the last summit, in 2009 in Trinidad, may have fallen short, according to the Inter-American Dialogue, a Washington-based policy group that focuses on the Western Hemisphere. “The U.S. must regain its credibility in the region by dealing seriously with an unfinished agenda of problems — including immigration, drugs and Cuba — that stands in the way of a real partnership,” according to a policy report issued yesterday. Bigger issues that aren’t on the official agenda are legalization or decriminalization of illicit drugs and whether Cuba should be allowed at the next summit. 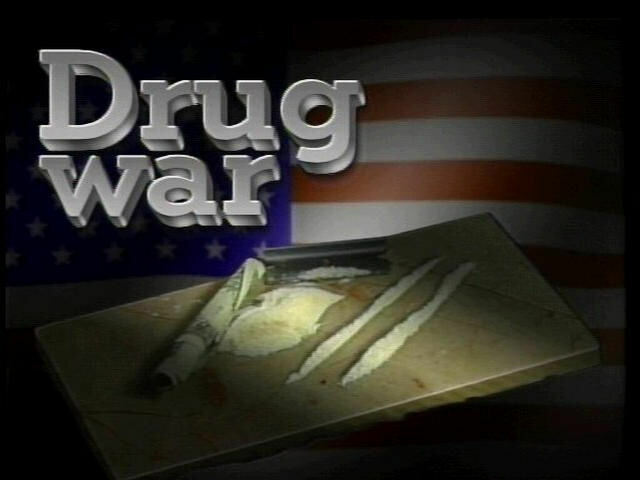 Selee said that while he doesn’t expect “dramatic outcomes” from the summit, one area where “sparks” might fly would be the debate raging in Latin America over drugs. 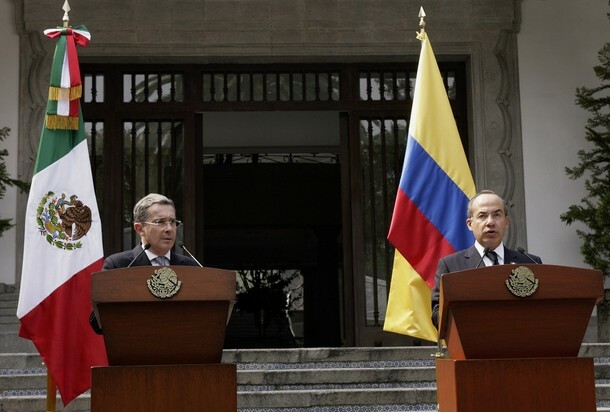 The presidents of Colombia and Mexico have called for a discussion about easing penalties for drug use. Obama’s aides say the U.S. will resist such proposals. “The president doesn’t support decriminalization,” Dan Restrepo, Obama’s senior director for Western Hemisphere Affairs, told reporters. There is friction between the U.S. and some summit leaders over restrictive U.S. policies toward Cuba. Ecuador’s President Rafael Correa is boycotting the summit because of Cuba’s absence. The region’s sole dictatorship is the only nation excluded from the gathering of heads of state from the Western Hemisphere. Brazilian President Dilma Rousseff told Obama during a White House meeting April 9 that this should be the last such regional meeting without Cuba in attendance. In an e-mail interview with a group of Latin American newspapers, Obama said his administration has done more than any in decades to improve U.S. relations with Cuba and blamed the communist regime for the nation’s exclusion from the summit. 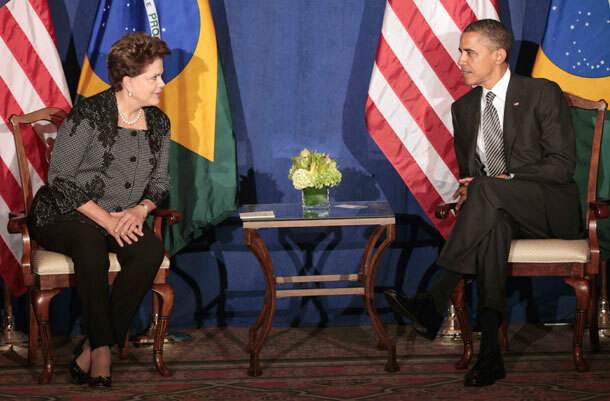 President Barack Obama meets with Brazilian President Dilma Rousseff at the United Nations in September 2011. While Obama moved to ease travel restrictions earlier in his presidency, the U.S. wants Cuba to release political prisoners, increase political freedoms and adopt democratic principles. 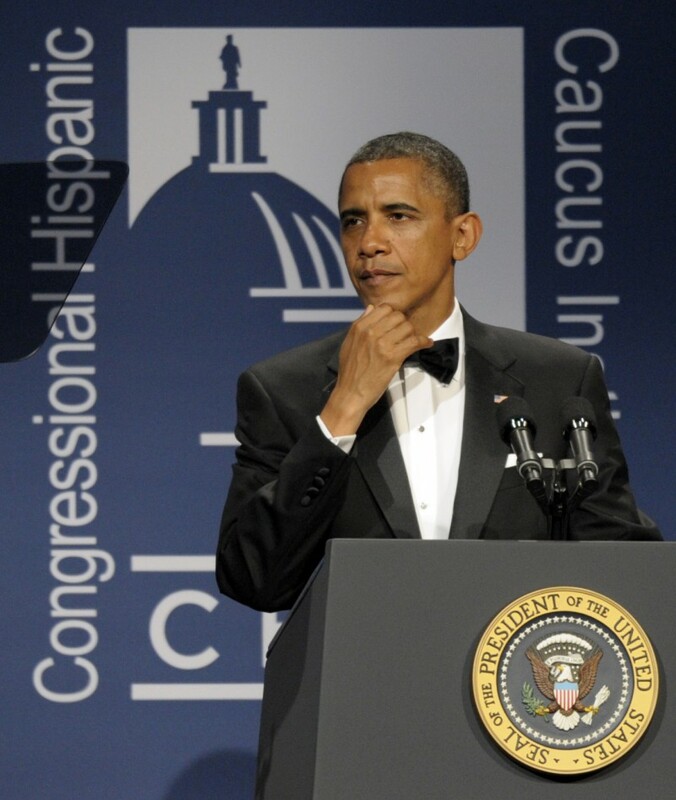 File: Barack Obama attends Cuban Independence Day celebrations in Miami in May during his run for president. “Cuba authorities continue to deny the Cuban people their universal rights and the president will continue to stand up for those rights,” Restrepo said. The policy is in keeping with those of past U.S. presidents from both parties, said MacManus, the Florida professor. 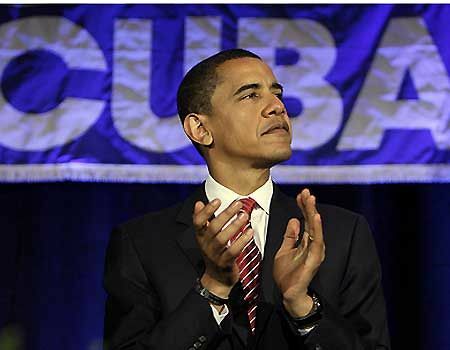 As with other issues at the summit, Obama’s position on Cuba has political implications. “If Obama can keep some of the Cubans who voted for him last time, appease them with that kind of stance, then that could be the difference” in winning Florida, MacManus said. 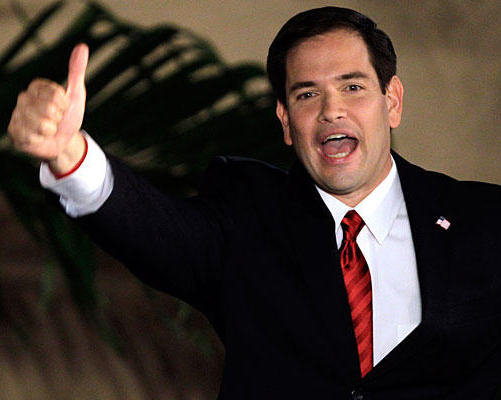 Sen. Marco Rubio of Florida, widely speculated to be a top pick for the Republican presidential running mate, once again firmly denied he would join the GOP ticket. 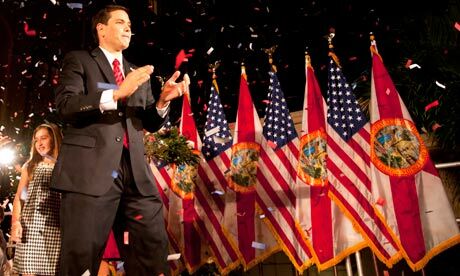 Last month, Rubio rolled out a big endorsement for Mitt Romney, adding fuel to the fire in talks over whether Rubio, whose parents emigrated from Cuba, would possibly be tapped for the Republican veep spot. 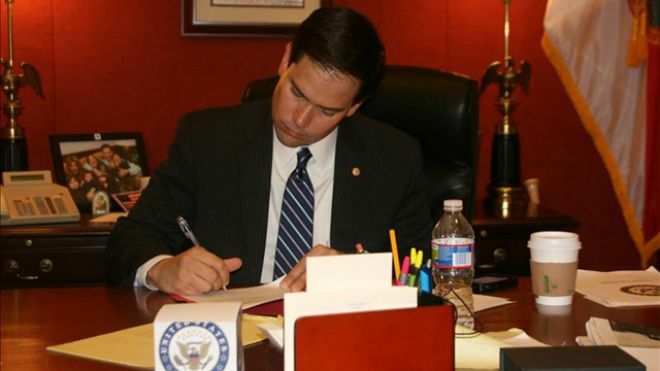 Rubio, however, has repeatedly shot down the notion. With Latino-Americans becoming a more influential voting bloc, politicians are increasingly growing more aggressive in their efforts to court their votes. But the junior senator argued Friday that choosing him as a running mate would not do the trick. 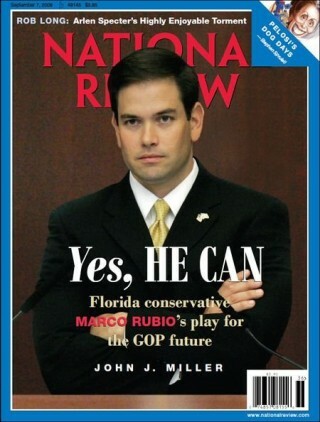 Elected in 2010, Rubio was dubbed early on a rising star in GOP. He’s known for bucking popular policies within the Latino community, such as the DREAM Act, a proposal that would grant a path to citizenship for minors in the country illegally, providing they served in the armed forces or attended college. Instead, he sides with positions more inline with the Republican platform on immigration.